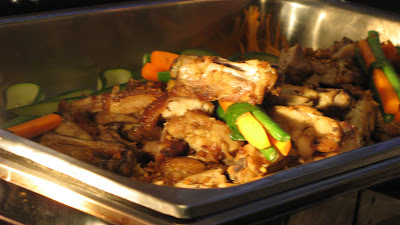 Brew of The Day attends another Food Trip Galore! 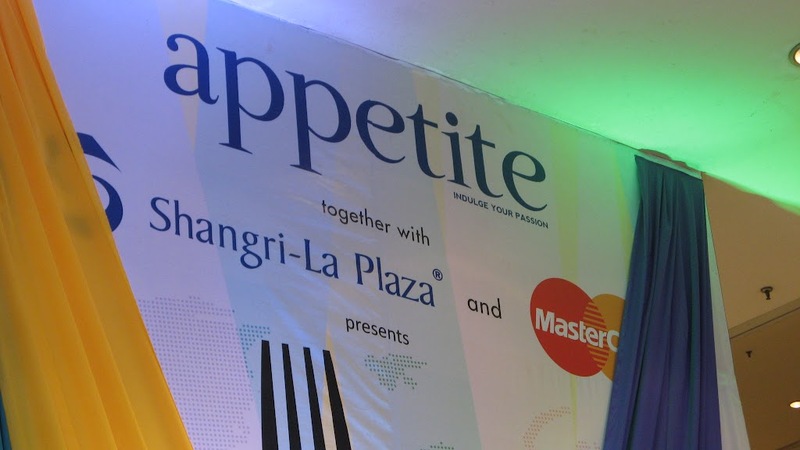 This time the challenge was to "Taste The World" thanks to Appetite Magazine's 7th Anniversary most delicious event of the year - the Appetite Restaurant Festival 2011! 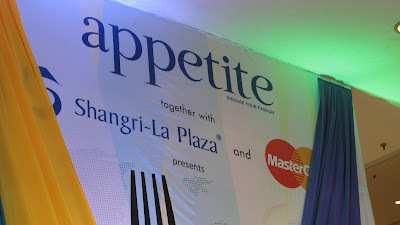 Together with Shangri-La Plaza and MasterCard, Appetite presents a unique dining experience where you can let your taste buds travel all over the world -- all in one fabulous place. Foodies can indulge in international cuisines from different restaurants for irresistibly affordable prices! 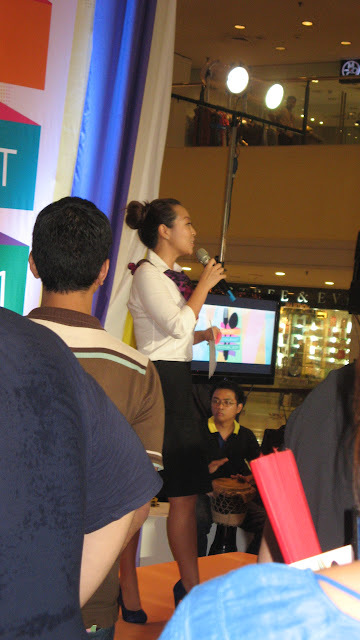 Hosted by Sam Oh dressed as a Flight Stewardess! Thanks to Mega Publishing and Appetite Magazine, we were given a treat and was able to have a foretaste of what foodies can expect when they "Travel the World" by trying out the specially-made Appetite Sampler Menu platters from the participating restaurants at Shangri-La Plaza up til the end of November. 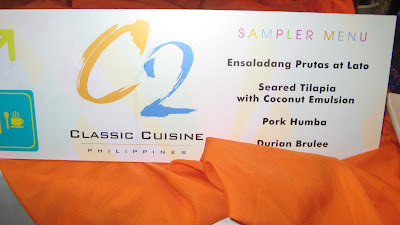 I swear, I have never tasted so much food in such a short amount of time.My taste buds were overwhelmed and extremely satisfied with the samples that the participating restaurants showcased. Here are some of the food that I sampled. 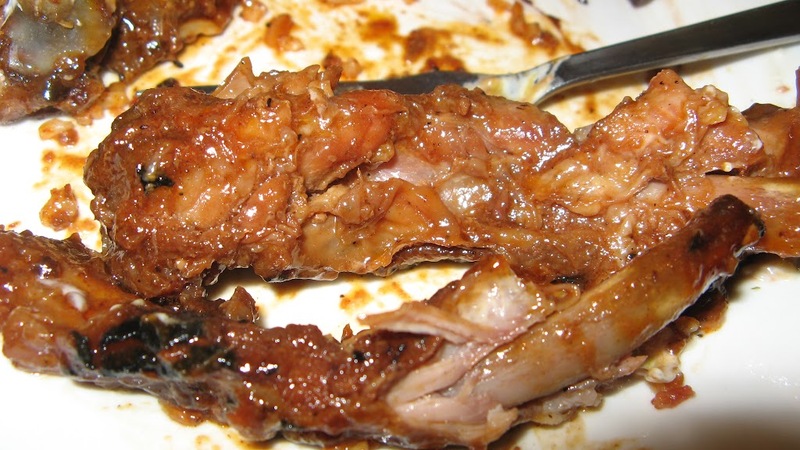 Its a MUST TRY for those meatlovers out there! This was my favorite pick out of everything I ate during the whole event. Yes, it was THAT memorable! 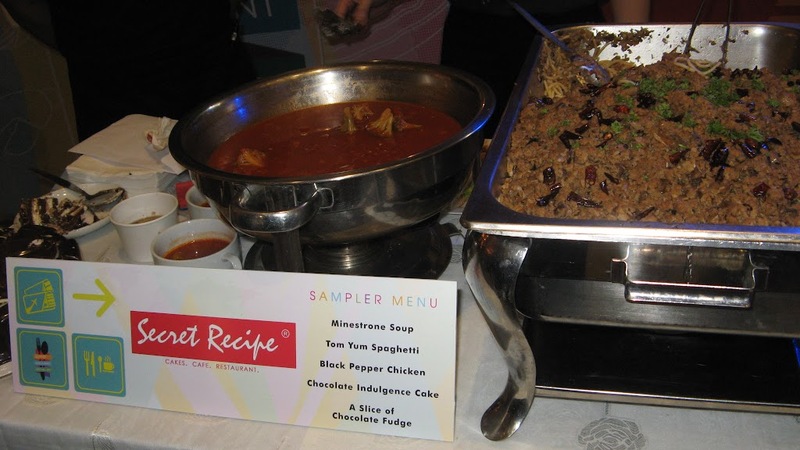 I was also able to try the Fish and the dessert and loved it! So for those interested, you may drop by Claw Daddy at Level 6 The Ledge, Shangri-La Plaza Mall. 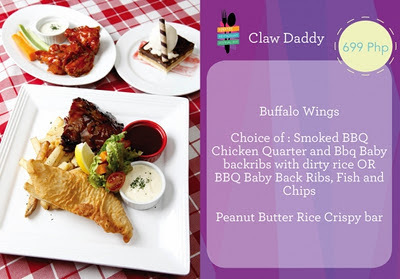 For inquiries or reservations, you may call them up at 6365679. I LOVE PASTA and this Tom Yum Spaghetti is THE BOMB! to taste the other dishes. lol. 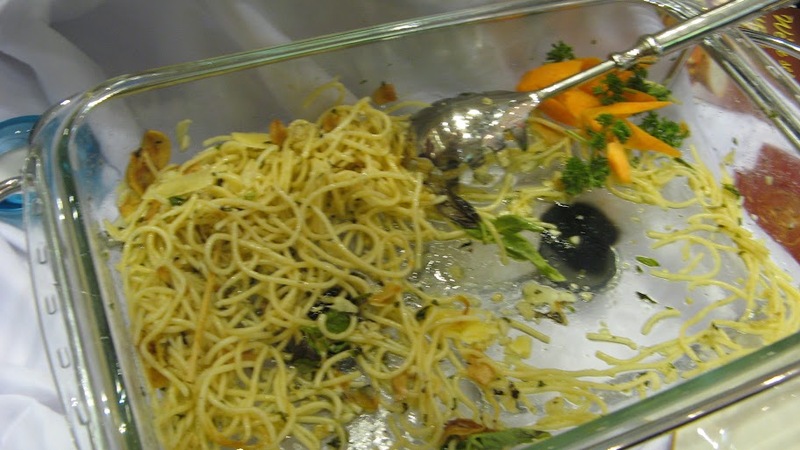 But this is definitely FILLING! I love love the pasta its super worth it! 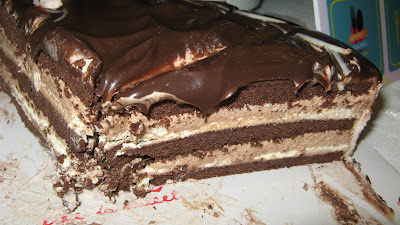 this cake and ate it with no guilt feelings whatsoever. hihi, goodbye diet! Don't forget you can still avail of this special Secret Recipe Appetite Festival Platter up til the end of November! 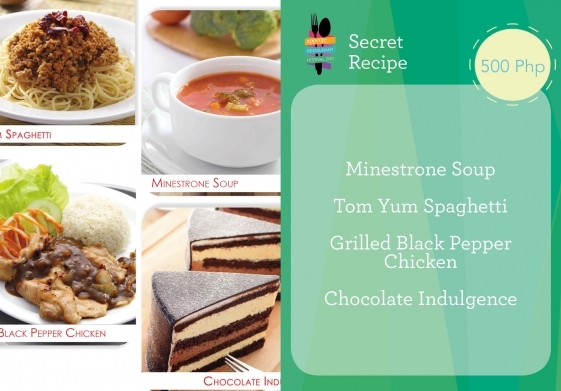 Check out Secret Recipe at the 5th Floor of Shangri-La Plaza Mall. You may contact them at 6370367. 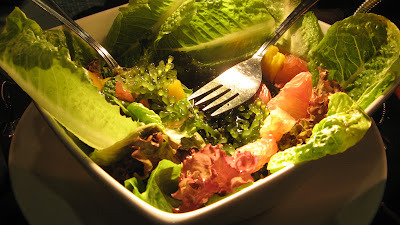 One of the best salads that I tasted during the whole event! days when our yaya would mix something like this for us to eat.. I guess the memory trigger was due to the seaweeds included here. Promise, it tastes nice and refreshing! Love it! 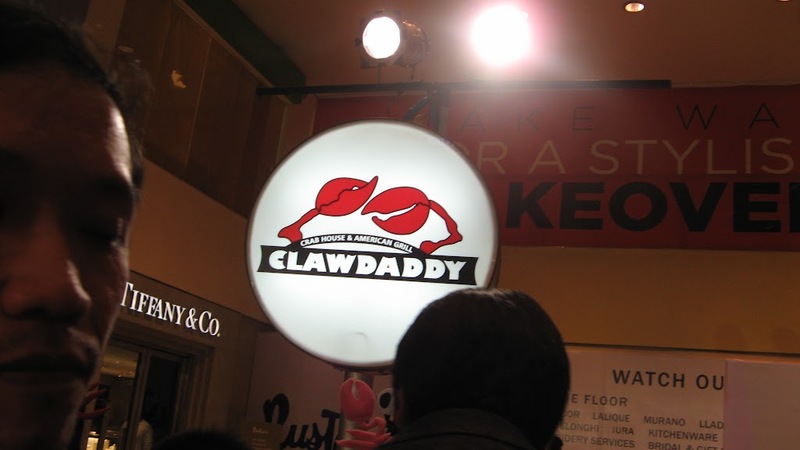 Anyone up for a different kind of dessert? 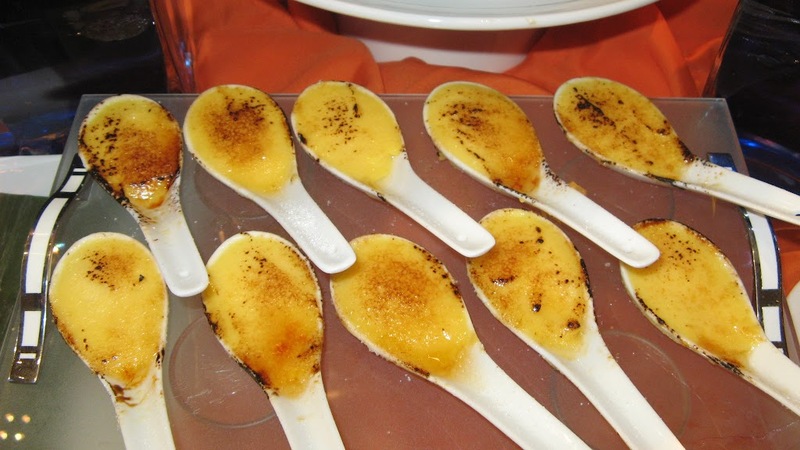 Try out C2's Durian Brulee! 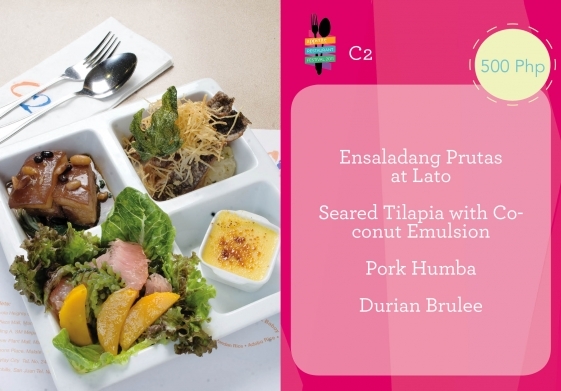 Don't forget to check out C2 at the 6th Floor of Shangri-La Plaza Mall! 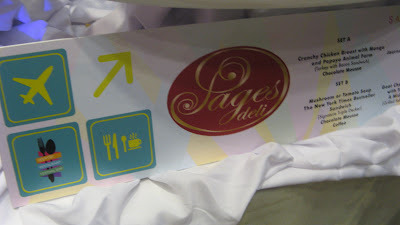 You may contact them at 6361510.
name of their sandwiches. 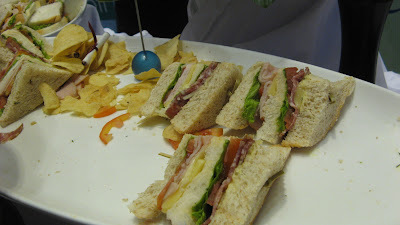 In the end, I ended up tasting ALL of the sandwiches there.. (ahahaha.. yes I literally STUFFED myself!) 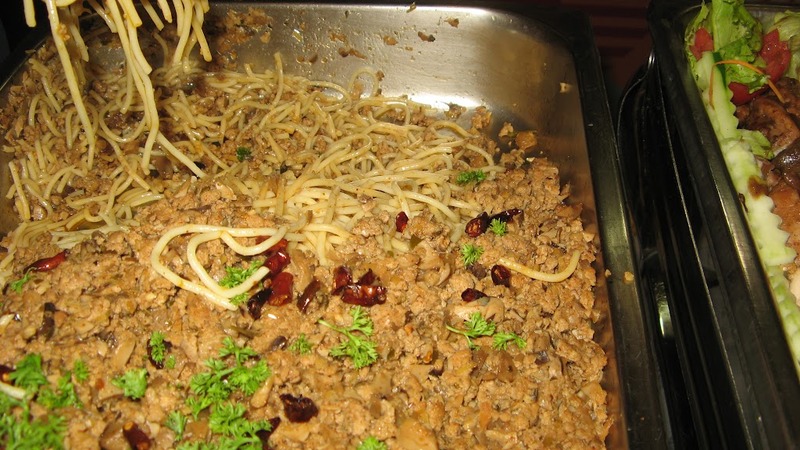 and also couldn't resist a bite of the Bolognese pasta being served. 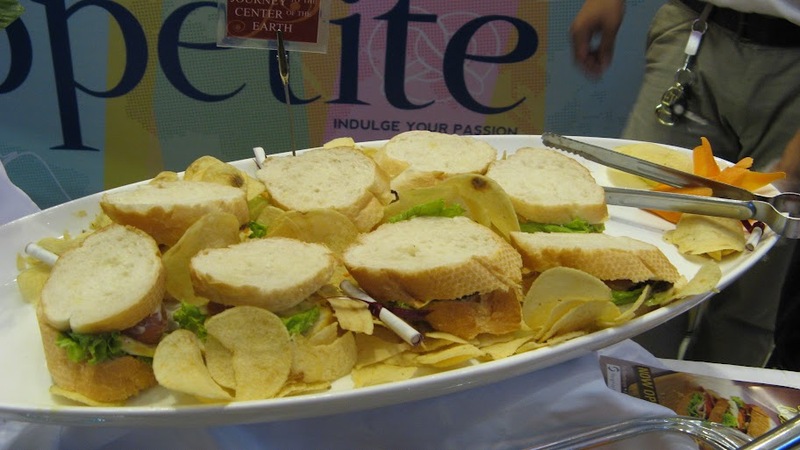 Journey to the Center of the Earth sandwiches! I know you are probably wondering, how on earth was I able to consume everything? Simple, I only took a bite. LITERALLY! lol. 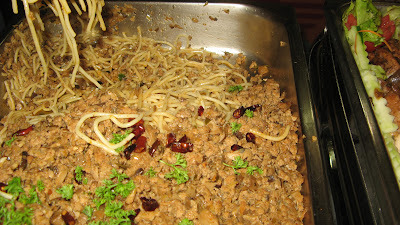 It was very hard though coz the Bolognese pasta was sooo light that I wanted to eat more! Wanna try out their awesome sets? 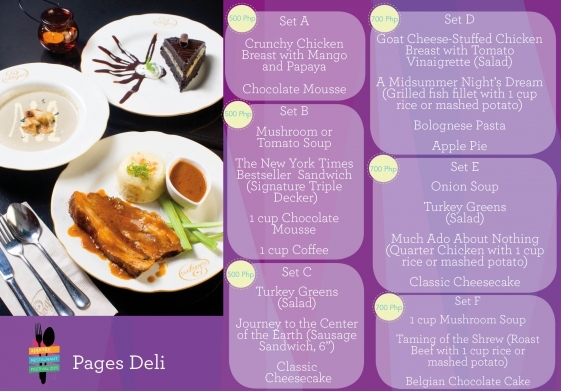 Check out Pages Deli at the Ground Floor (Streetscape) of Shangri-La Plaza Mall. You may contact them at 477-4718. So now I have a confession to make, I stopped taking photos after a while and just concentrated on tasting and eating! LOL. I really wanted to know how good the fare was. 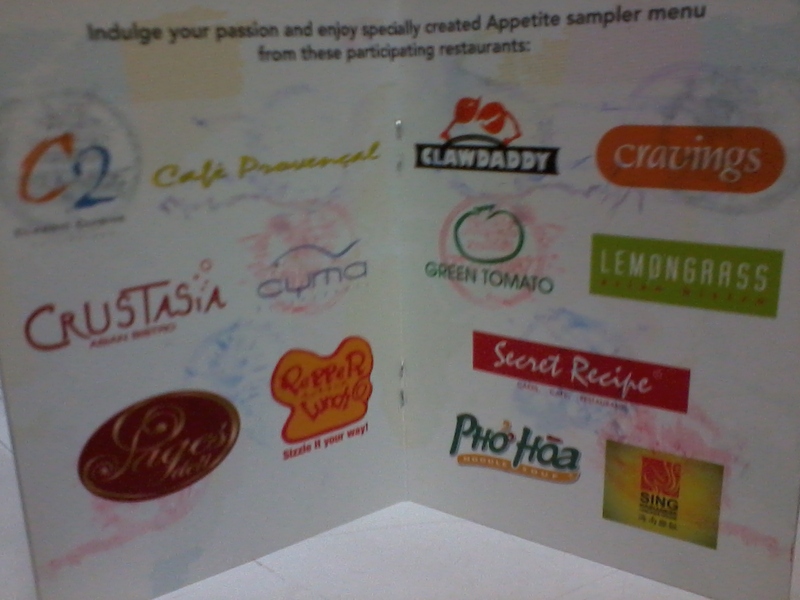 I was able to try out 10 out of the 13 participating restaurants. AGAIN, I promise I didn't overindulge (swear! lol) but I just took bites out of the others. We were all given a passport so that when we have finished visiting a "restaurant destination" we get our passports stamped. 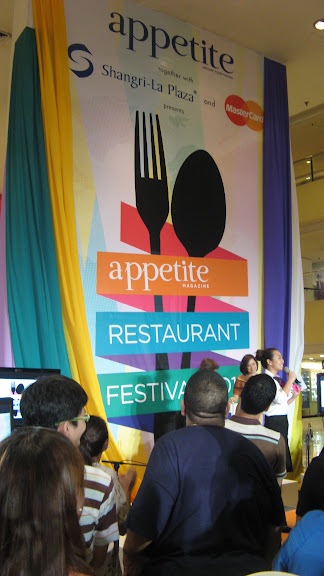 So yes, here are all the participating restaurants of Appetite Restaurant Festival 2011! 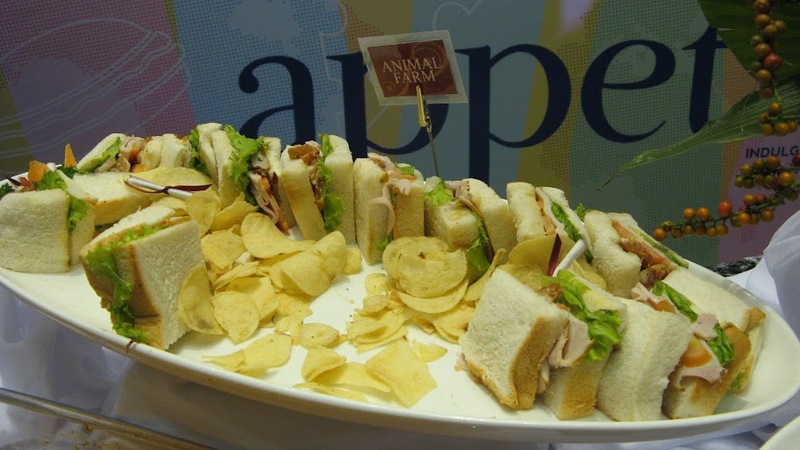 Of course eating won't be super fun without wonderful friends with you! So here are my eating buddies. Me, UrMajestySire (Twitter buddy! 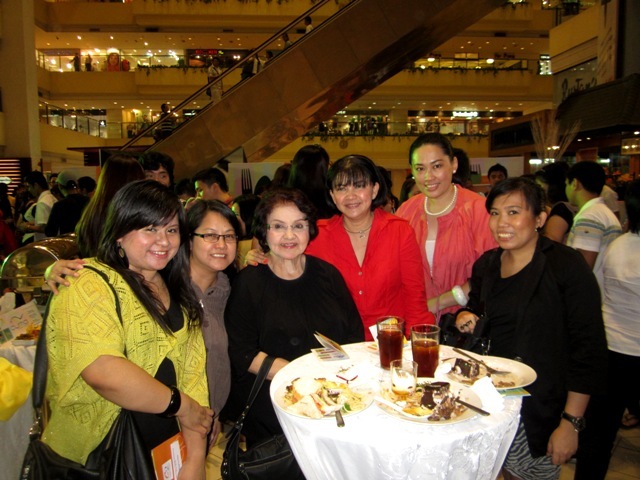 ), Mrs. Sabater (mom), Dra. 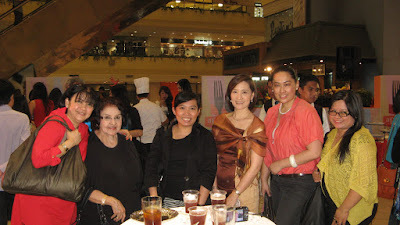 Maris Sabater-Paredes, Tin (oohthat.blogspot.com), and Jen (shopgirljen.blogspot.com). We had an awesome time talking with Dra. Maris. She looked super cool and fab that I couldn't resist taking a sneak photo of her shoes. What is.. WEDGE! Love it!!! Thanks Dra. Maris for reading our blogs! She said that she enjoys reading blogs and well I'm happy to hear that we have such a lovely reader like hers. 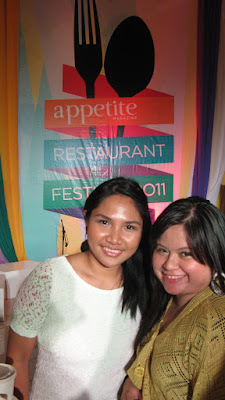 With Appetite EIC, Ms. Nina Daza-Puyat. 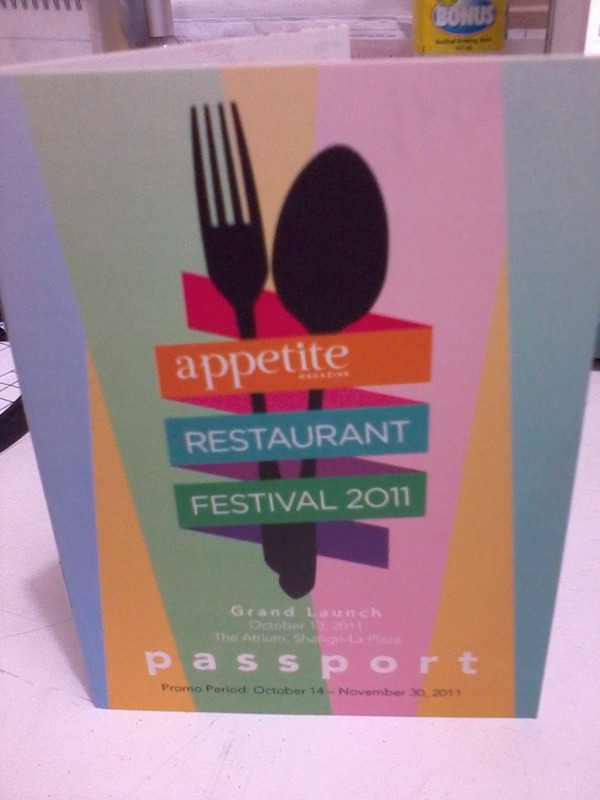 Really had fun at the Appetite Restaurant Festival 2011 Event! So Coffeeholics, do let me know if you tried out one of the restaurants during the festival!